Austin Healey 100/6 BN6 ‘two-seater’, year 1958. 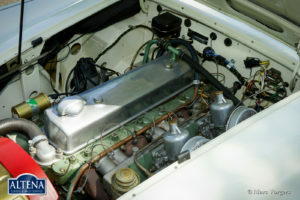 Chassis number BN6-L/5730, engine number 26D/U/H74418. 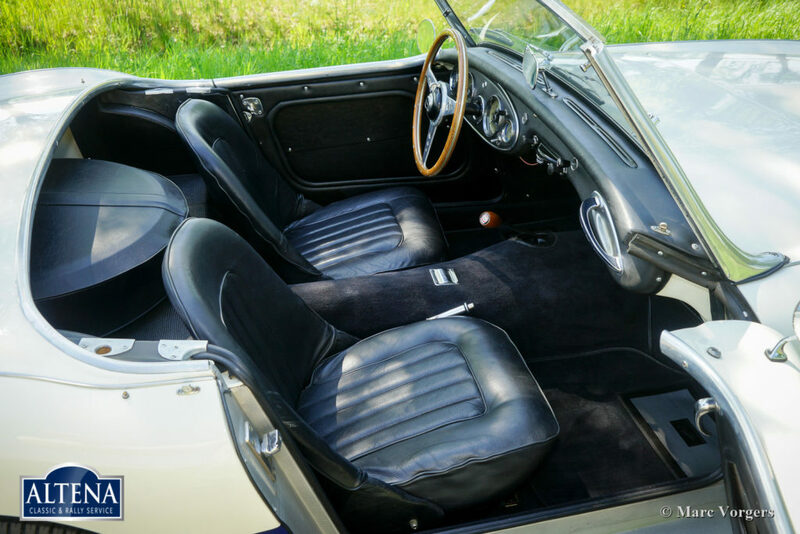 Colour Old English White over dark blue combined with a black leather interior and black carpet. 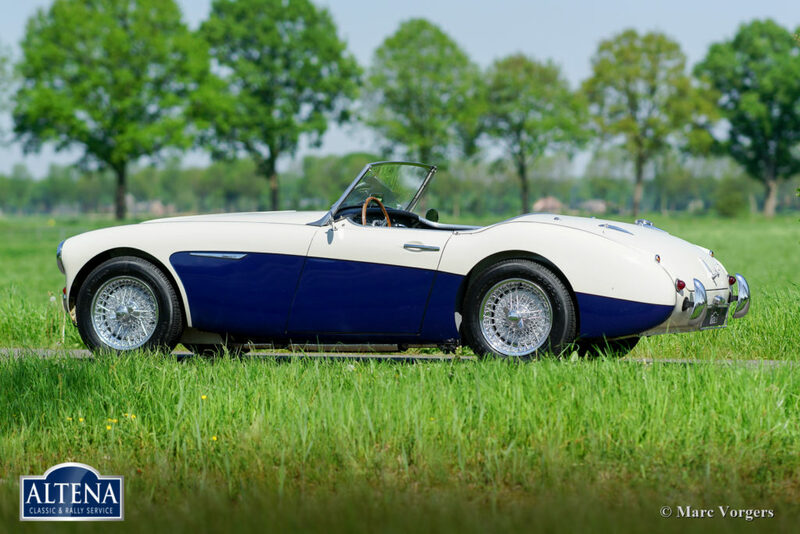 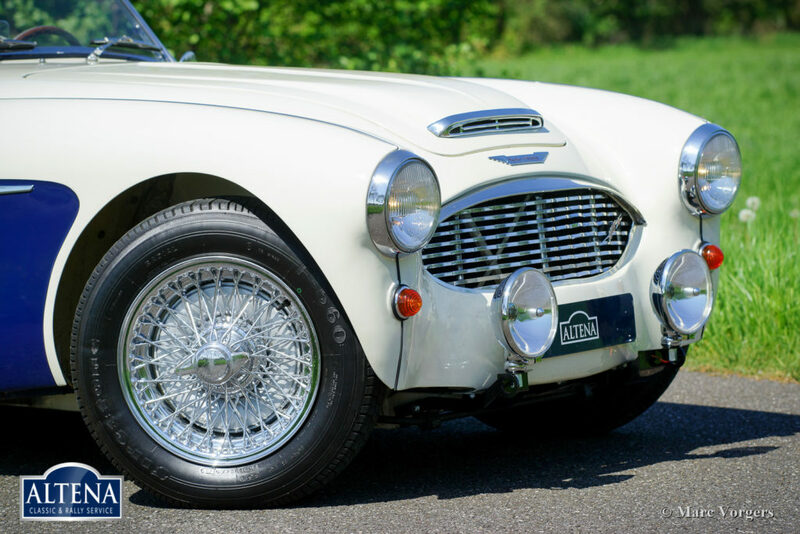 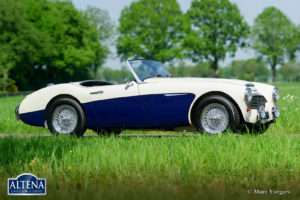 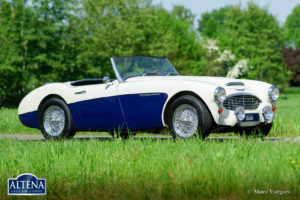 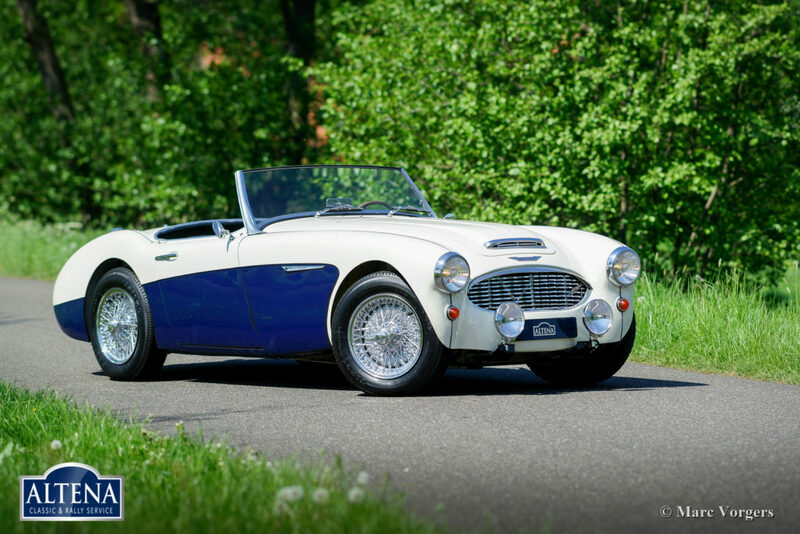 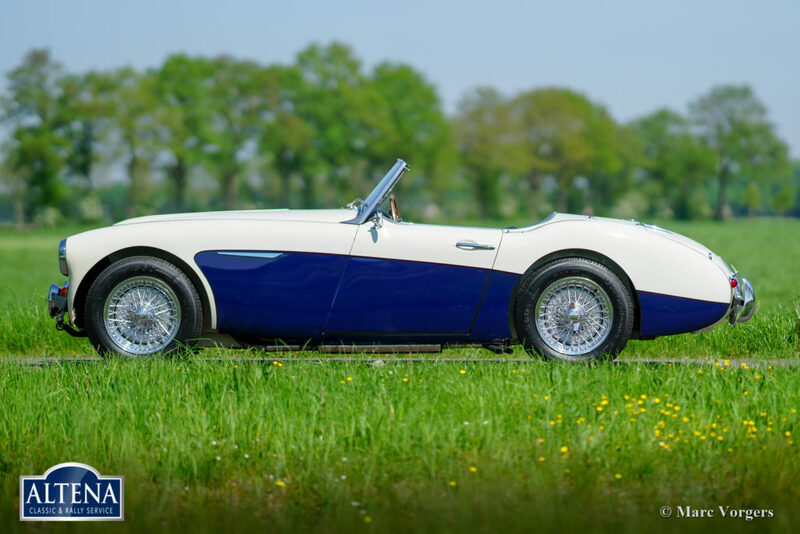 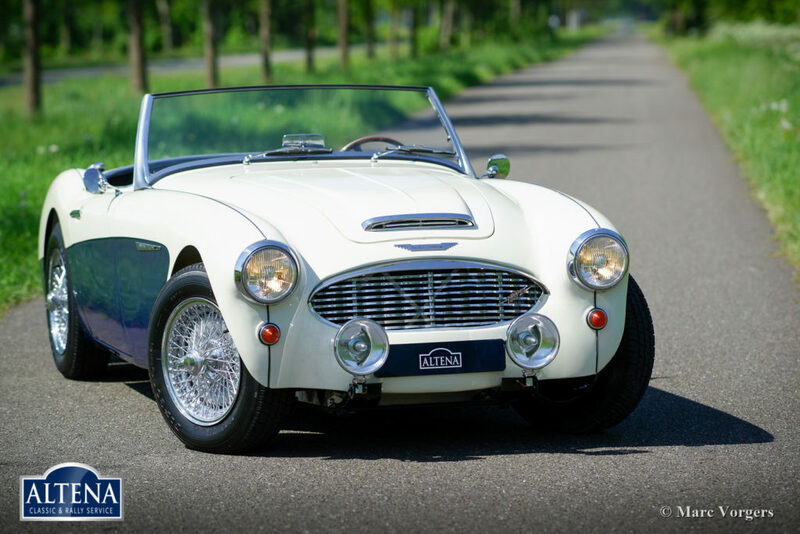 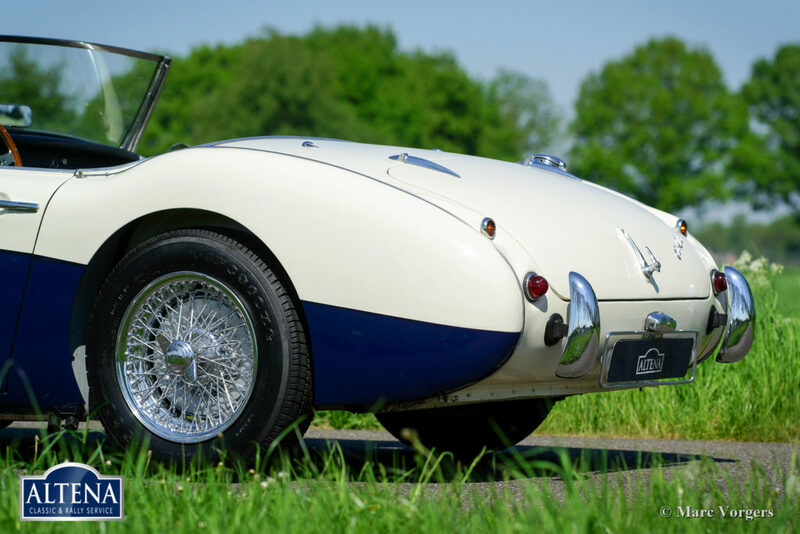 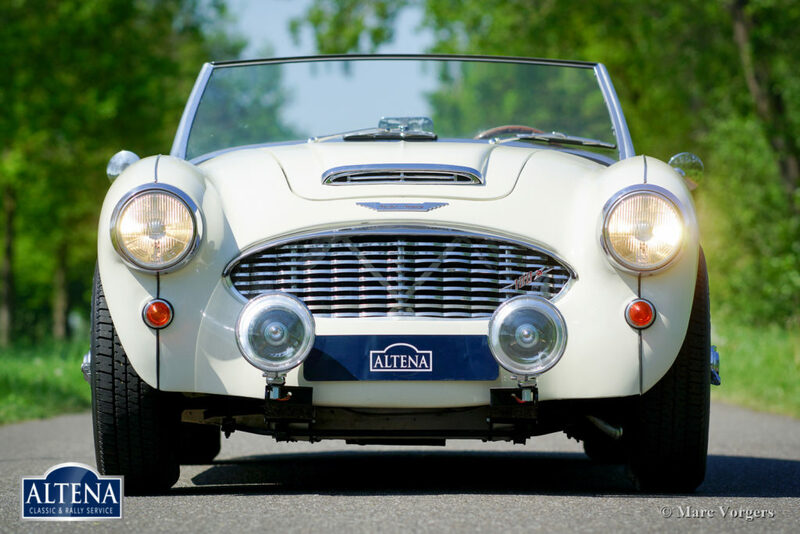 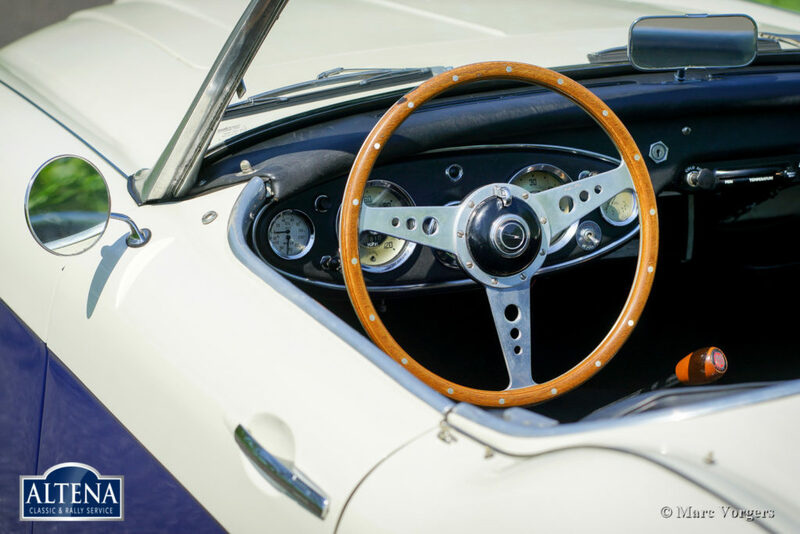 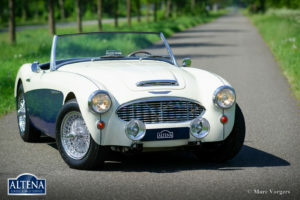 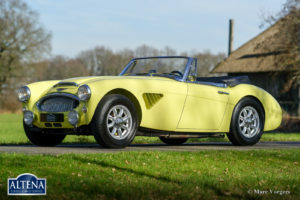 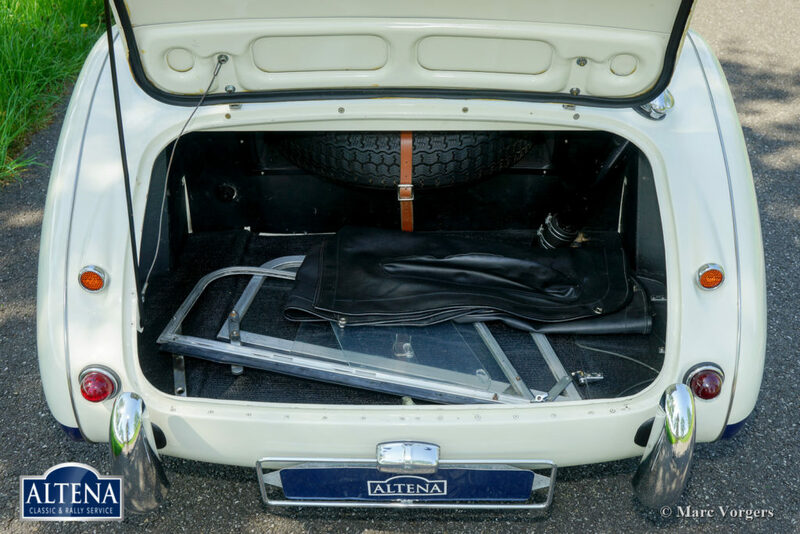 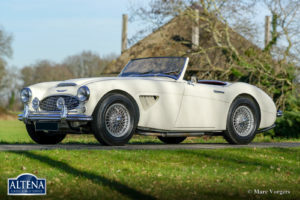 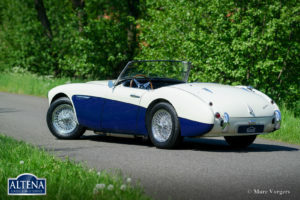 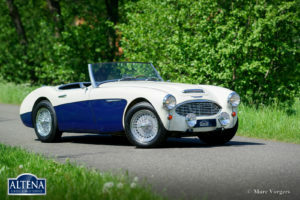 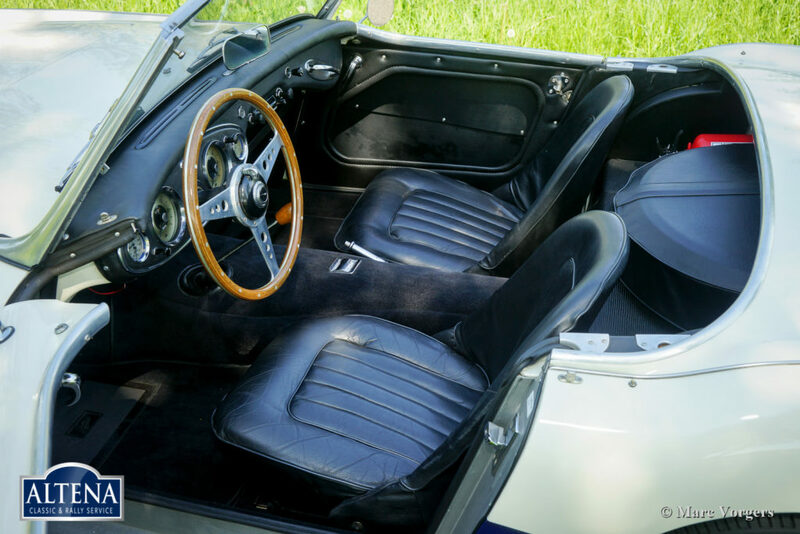 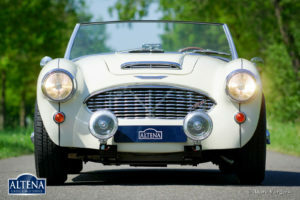 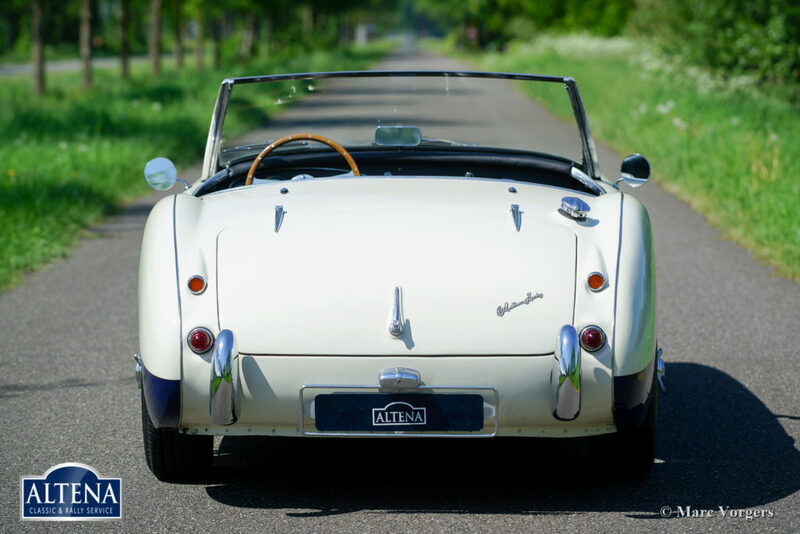 This beautiful and sporty Austin Healey is a rare and very desirable BN6 ‘two-seater’ model. 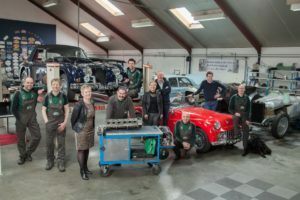 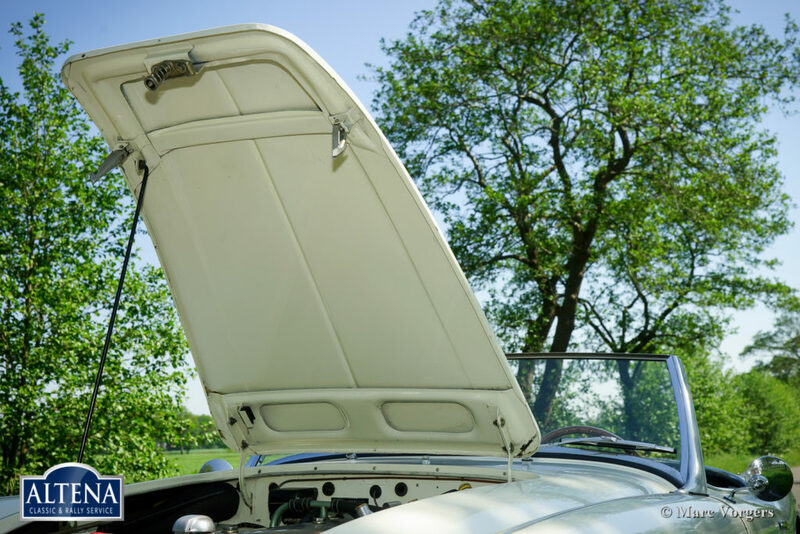 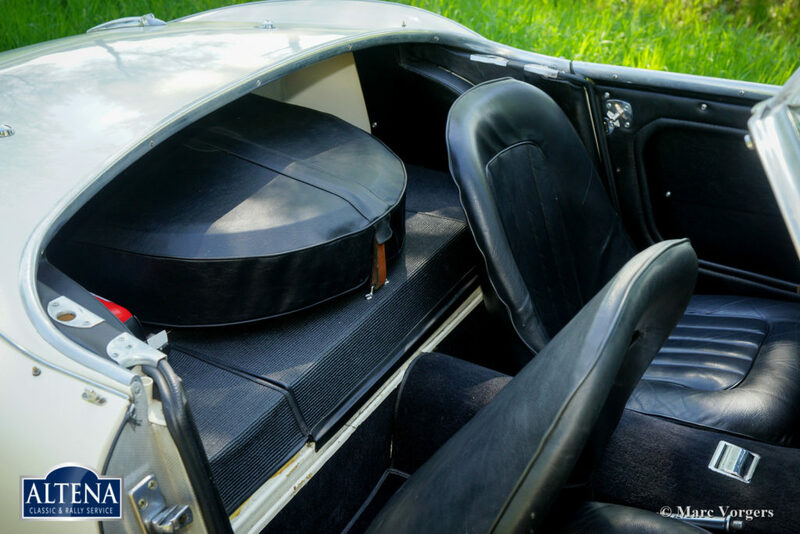 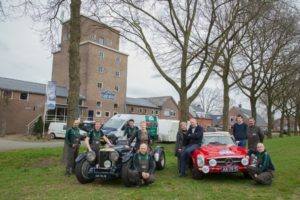 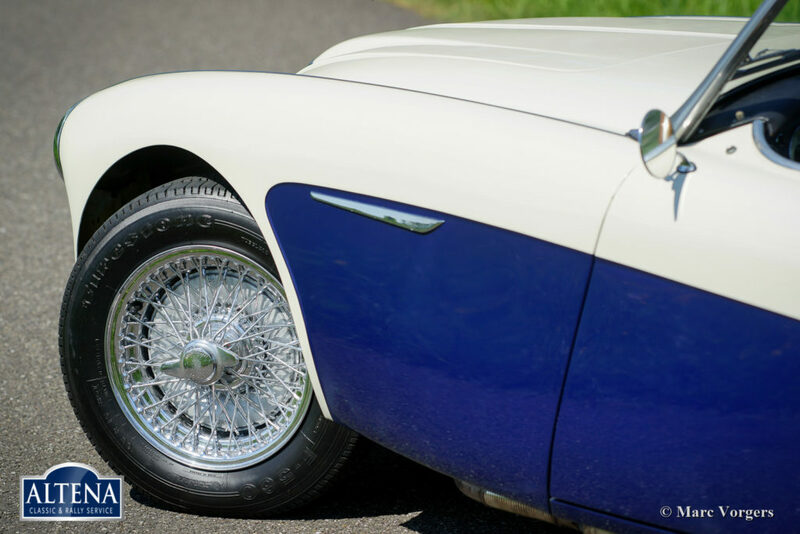 The automobile was extensively restored in the past; this ‘Big Healey’ is in excellent condition and the car drives perfectly! 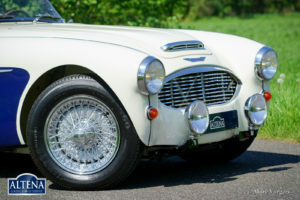 The car looks very purposeful without bumpers, at the rear chrome over riders are fitted and at the front a pair of big long-range spot-lamps! 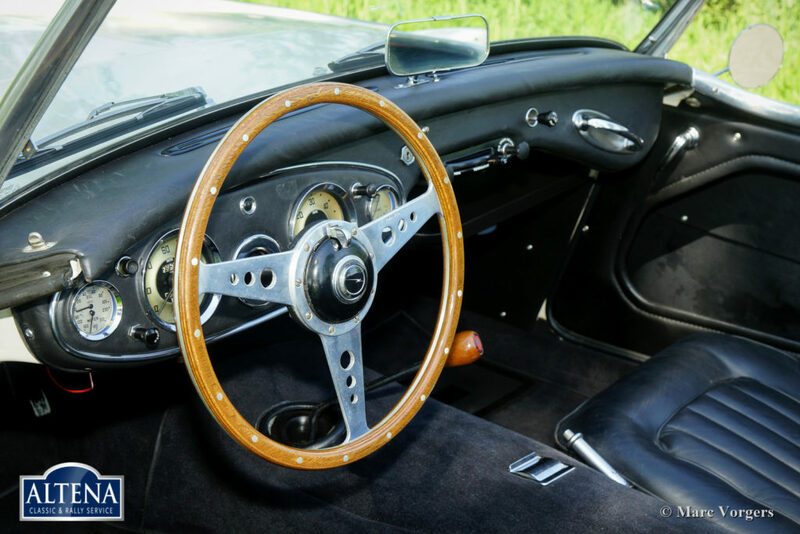 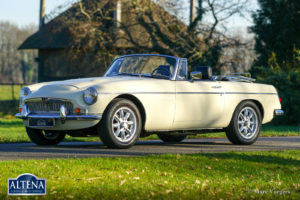 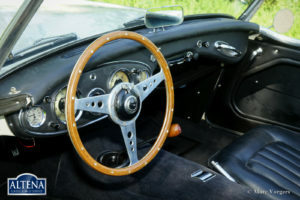 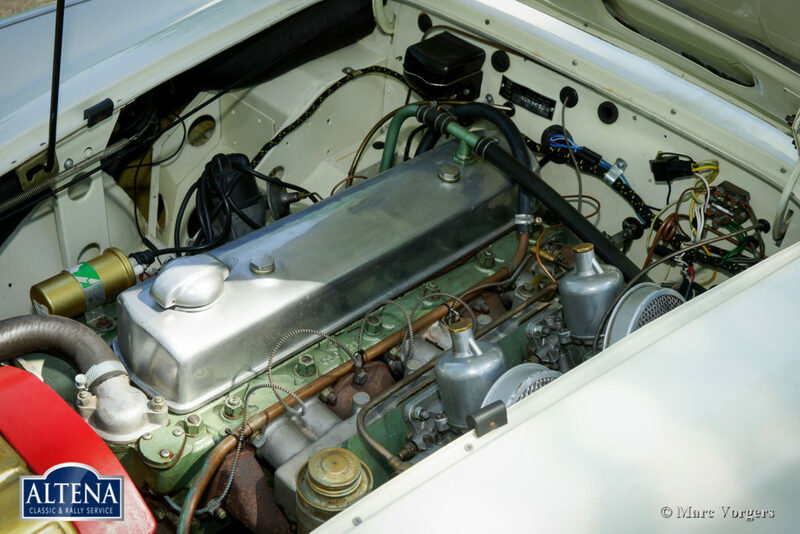 The Healey also features overdrive, chrome wire wheels and a side exhaust. 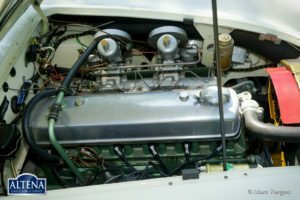 A mighty machine!